After a month in retreat, we’re settling deeper into the silence and enjoying this precious opportunity to focus on the Dharma and do the Vajrasattva purification practice. We’re so grateful to all of you practicing together with us and supporting us from afar. It’s been an unusually warm and rainy winter, but the ground is still covered in a blanket of snow. Occasionally the sky fills with a shower of snowflakes, nourishing the Abbey grounds and bringing joy to our hearts. View photos of the Winter Wonderland at the Abbey. 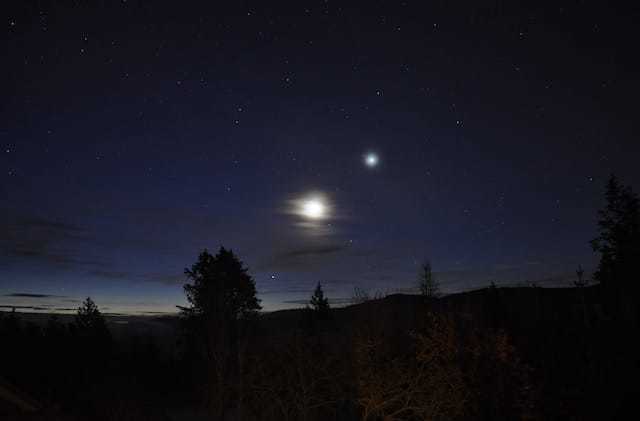 A record-breaking number of people participated in the New Year’s Vajrasattva retreat: all Abbey sleeping spaces were filled and there was a waiting list of 15 people! Needless to say, this reminded us again that it’s to time build a temple-library complex with a larger meditation hall. New Year is a time when people make a lot of resolutions that, unfortunately, aren’t held for very long. This is because we haven’t dealt with impediments from the past; removing these obstacles is the focus of purification practice. Since Vajrasattva is a deity whose specialty is helping us to purify past misdeeds, Ven. Chodron’s talks during this retreat centered on the four opponent powers, discussing each one in depth. She brought in topics such as forgiving ourselves and others, apologizing, being courageous in terms of self-honesty, ridding ourselves of disparaging self-talk, cultivating self-confidence, and abandoning pretension and deceit. Watch the talks here. Creating and then becoming attached to identities was another topic that brought a lot of discussion. The combination of Dharma talks, meditation, and discussion enabled retreatants to approach purification from a variety of angles, and everyone benefited greatly. 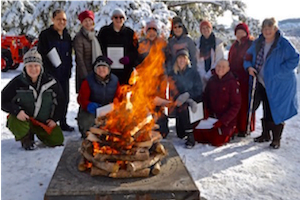 Enjoy the New Year’s Retreat photos here. 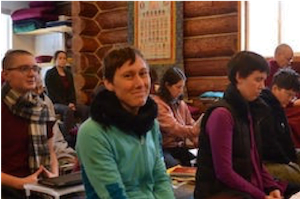 The four-day New Year’s retreat transitioned smoothly into the one-month Vajrasattva retreat with 33 people staying on, all of whom were totally dedicated to the practice. The guests’ comments at the closing go-around showed how beneficial the retreat was for them, and they were especially appreciative of the excellent conditions for retreat provided by the Abbey. You can read their Vajrasattva retreat reflections. Abbey residents, in turn, appreciated how harmonious and cooperative everyone in the retreat was, and how they respected the silence of the retreat, which allowed everyone to go deeper into practice. On January 24, after a concluding fire puja, the one-month retreat ended and 11 guests departed. A few other guests are staying on to complete the three-month retreat together with the Abbey monastics. A few days before the end of the one-month retreat, Ven. Chodron led the ceremony of taking the bodhisattva vow at the request of the retreatants. After her introduction, just as she was beginning to say the verses to take the vow that the participants were to recite, it started to snow. So many Vajrasattva snowflakes had come to witness the practitioners generate bodhicitta! For those of you practicing from home, stay connected to the retreat through Ven. Chodron’s ongoing short talks on the Vajrasattva practice that you can watch here, and be inspired by Ven. Sangye Khadro’s ongoing commentary on “The 37 Practices of Bodhisattvas” here. Meet the retreatants and see the one-month retreat photos here. Although Vens. Chodron and Damcho returned from Asia in December, there’s still more to tell you about their stay in Singapore. On a few occasions they were invited to families’ homes to join many other guests for lunch dana. After lunch, Ven. Chodron gave Dharma talks and answered questions. These more intimate gatherings enabled closer connection with people interested in the Dharma who may not necessarily go to a temple or center. Ven. Chodron also kept up Dharma connections with monastic friends old and new. At the Buddhist Library, the Friends of Sravasti Abbey offered a cake to Bhante Dhammaratana who turned 80. Ven. Chodron has known him since she lived in Singapore in 1987-8. The Venerables appreciated connecting with nuns’ communities at Pao Kwan Foh Tang Temple, Pu Ti Buddhist Temple, and Nan Hai Fei Lai Temple. Ven. Chodron’s teachings at Pureland Marketing concluded with a lovely gathering of the Friends of Sravasti Abbey volunteers—who do so much to organize and support our yearly visits to Singapore—and the volunteers at Pureland, who are so kind. 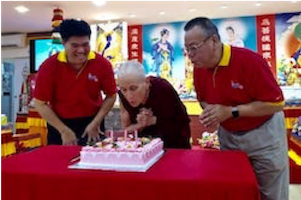 There was another cake-cutting, this time for a triple celebration: Sravasti Abbey’s 15th anniversary, Pureland Marketing’s 20th anniversary, and President of FOSA Singapore Choon Fah’s 50th birthday! Ven. Chodron knew many of our Singapore friends when they were college students in the ‘80s; now they bring their children to the talks. Teachings from the Medicine Buddha retreat that Ven. Chodron led at Pureland Marketing are now posted. You can also listen to a beautiful talk on the Nyung Ne practice that she gave at Amitabha Buddhist Centre. Her final talk at the Buddhist Congress Singapore on family dynamics and how to have better relationships with the people you care about the most is here. Links to other Singapore teachings appeared in the last e-news, but you can also find them on this Youtube playlist. 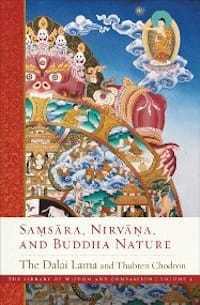 Saṃsāra, Nirvāṇa, and Buddha Nature—the third volume in the The Library of Wisdom and Compassion series co-authored by HH the Dalai Lama and Ven. Thubten Chodron—is fresh off the press. Published by Wisdom Publications, the book is available on Amazon, at your local bookstore, or at Wisdom Publications. In this book, discover the mind’s infinitely vast potential, its buddha nature. Learning about buddha nature reveals and reconciles the paradox of how the mind can be the basis for both the duhkha of samsara (the unpurified mind) and the bliss and fulfillment of nirvana (the purified mind). Saṃsāra, Nirvāṇa, and Buddha Nature first takes readers through Buddhist thought on the self, the four truths, and their sixteen attributes. Then the Dalai Lama and Ven. Chodron explain afflictions, their arising and antidotes, followed by an examination of karma and cyclic existence, and, finally, a deep and thorough elucidation of buddha nature. Learn more about the book here, and watch Ven. Chodron introduce the book here. 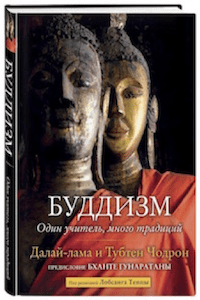 Also hot off the press is the Russian language translation of Buddhism: One Teacher, Many Traditions by His Holiness the Dalai Lama and Ven. Chodron. We’re delighted that this important book showing the many similarities of the Pali and Sanskrit Buddhist traditions, as well as their different perspectives on some topics, is now available in more and more languages. A Thai translation will be out next year and a translation into Sinhala will soon be published. The book is also available in several European languages as well as in Chinese, Korean, and Vietnamese. Learn about the Russian translation here and other translations here. Ven. Tenzin shares with us a beautiful meditation on compassion. Read it here. Rejoice! 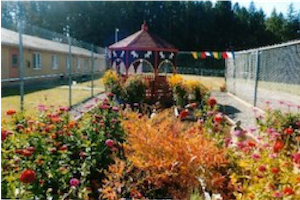 The Buddhist group of men in civil detainment at McNeil Island recently consecrated its new Meditation Pagoda that was five years in the making. Read the update here. 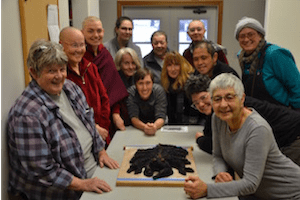 The next Sravasti Abbey Friends Education (SAFE) semester begins April 15, 2019 after we emerge from retreat. Write to safecoordinator@gmail.com for more information and to sign up.